We are at the junction of Leedon Road and Holland Road, opposite Holland Village and a stone’s throw from the Holland Village MRT. 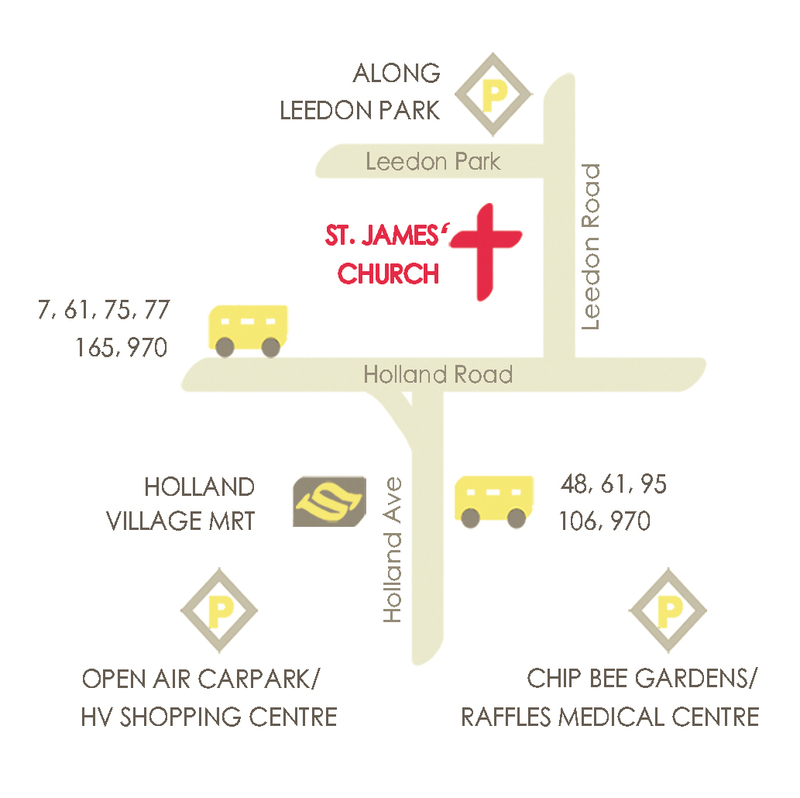 The nearest MRT station is Holland Village (CC21) . Take exit B from MRT. Walk up on the side of the shopping area and cross Holland Road at the traffic lights. We are right behind the ESSO station. There are many buses which ply the Holland Road and the Holland Village area such as Nos: 5N, 7, 61, 75, 77, 95, 165, 970. Check your bus guide for more routes. If you are driving, you can park at the basement carpark. Do come early enough as parking lots are limited. Alternatively, you can park at Holland Village or Leedon Park Road.